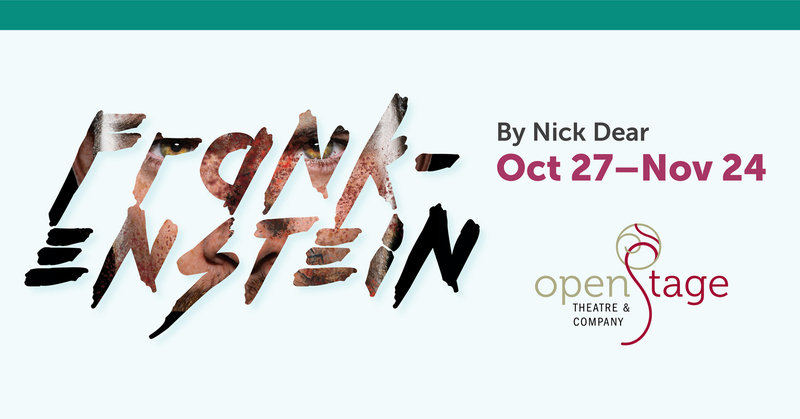 Mary Shelley’s 200-year-old horror story continues to challenge the modern imagination in Nick Dear’s electrifying new adaptation. Given life by a man playing God, a Creature assembled from corpses sets out into the unforgiving world to discover his humanity. As he becomes increasingly desperate for companionship, the Creature confronts his horror-struck creator to strike a terrifying deal. This thrilling and deeply disturbing retelling will leave you asking, “Which is the man, which is the monster?” Contains mature language and themes. Parental Advisory: Contains mature themes. Student Night (10/25, 7:30p): Free show for students & educators. RSVP @ openstage.com or 970.484.5237. PWYC (11/1, 7:30p): Pay-What-You-Can, donations at the door. RSVP @ openstage.com or 970.484.5237. FAB Friday (11/2, 7:30p): all seats $22 + FREE beer from Odell Brewing Co.